When you want your friend to know she’s your rock. The rock crystal throws out positive energy, and the tag reads: good friends are like stars, you don’t always see them but you know they are always there. Get photos, and get ’em quickly! Also has a party mode. Perfect. This sleek notebook keeps your BFF organized whether they’re home, or at the office. Also available in navy and black. Are you the pizza to her french fries? We totally hear you. Now you can both show your love for each other with this super cute Best Friends t-shirt with pizza and french fries. You wear one and they wear the other! The latest from New York Times Best-Selling Author of Wild, Cheryl Strayed is back at it with her book of inspirational quotes and stories. Definitely a quick-read, it’ll leave you and your BFF feeling good, at peace, and ready to conquer the world. These super cute recycled wine bottles are cut in half, and then filled with organic soy and beeswax. The natural wood wick emits a crackle when burning to create zero soot and zero mess. Less messy friends = less messy friendships. The reversible feature is like having two bags in one! Available for all iPhones, Galaxy and iPod Touch. The friendship bracelet she’ll actually want to wear. This one comes in yellow gold and on-trend turquoise, but you can also choose black, coral, and all gold. Because they really need to relax. 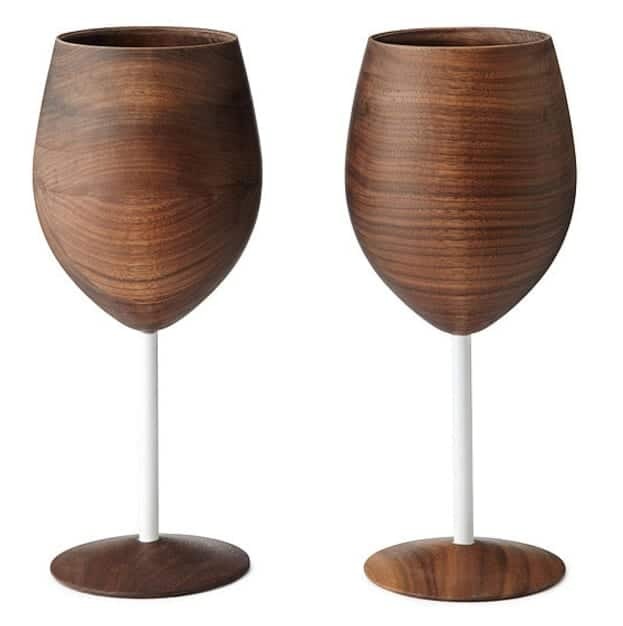 First off, drinking out of wooden wine glasses is just plain awesome. Second, they’re handmade in the USA so ????. Because they need to hydrate. Leakproof lid and BPA free, in a sleek marble design. Other colors and designs available. Bluetooth and sweat-resistant, up to a 12 hour battery and noise canceling? Yes please! One of our favorite candle companies, your BFF can sample five pretty scents with votives like: roses, baises, figuier, tubereuse, and feu de bois. Because who doesn’t love an emoji or 1,000? ???? Because sharing chocolate & caramel with friends = awesome. Plus the cute designs = awesomer. We all have that one friend who doesn’t drink coffee…Not that we’re judging. Because Sunday Funday…with a side of Bloody Mary’s. Perfect for the girl who’s looking to change up her perfume or find a new signature scent. This sample set includes 15 of the most coveted scents at Sephora. Editor’s Pick: Sold individually at $75 each (for ease of shipping purposes), these lamps turn on with a touch of your hand. Then, your friend’s emits the same glow, no matter where they are in the world! For the friend who, literally, has everything.